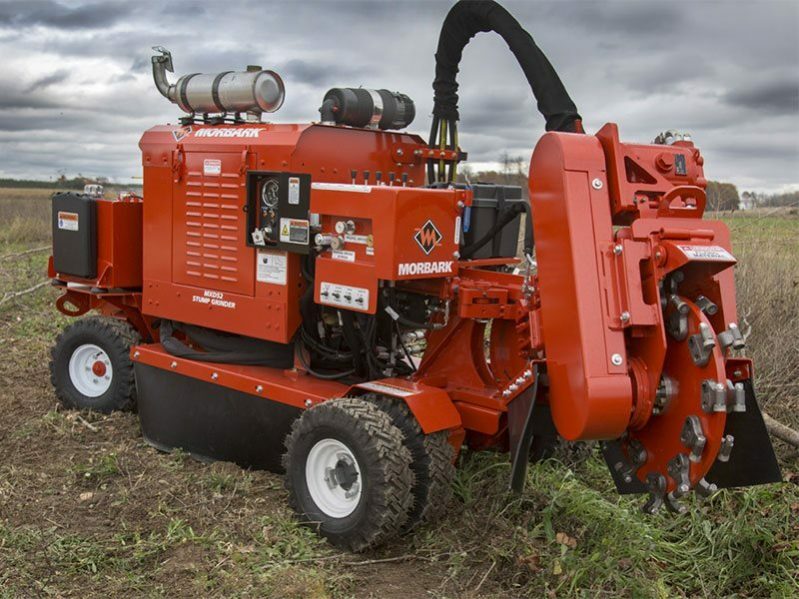 The D 52 SPH Stump Grinder will save you time and money. Two-speed ground travel reaches speeds up to 290 FPM, getting you to the stump faster, and a 52 inch boom arc means less positioning at the stump. Long Boom Technology maintains full boom arc swing regardless of cutting depth; piloted flange bearings increase bearing life and minimize exposure to dirt and debris; and an articulating front axle maintains stability on uneven terrain. Other standard features include 4.6-cubic-inch hydrostatic motor; chip-resistant, high-gloss Morthane paint system; and electronic toggled control panel functions. Wireless remote control with tethered back-up system, 4 x 4 drive system and spring-loaded Clic Dual package are optional.